Twenty years following the Bosnian War (1992-1995), civilians and former combatants alike are suffering from the horrors that they lived through, and the country is still sharply divided along ethno-national lines. The Dayton Peace Accords were not gender-sensitive, there were no women present at negotiations, and they have instituted an extremely complicated and exclusionary political system. Nationalist political parties now dominate the Bosnian political scene and do not expose egalitarian ideas in relation to women and their political, economic or social representation. Despite sustained pressure from a resurgent women’s civil society, the Bosnian state has not implemented more gender inclusive reforms as was promised. Devastation that began with the Bosnian War is still ongoing, and women have experienced the social and economic brunt of this despair. This situational analysis will explore the specific situation of women following the Dayton Peace Accords in Bosnia and Herzegovina. 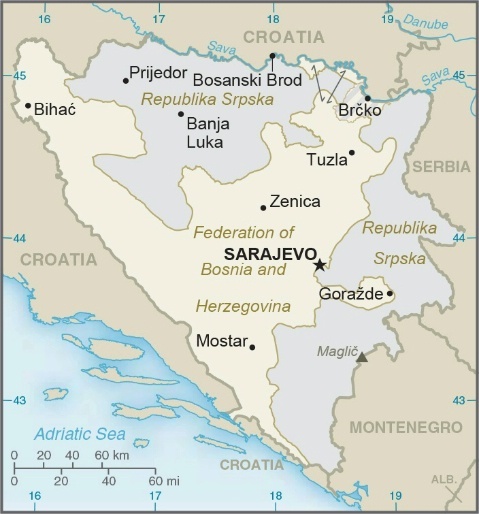 Bosnia and Herzegovina is not a field case study. However it is included because of its historical importance for the Women, Peace and Security Agenda.